Hopefully everyone is aware that Ohio is a smoke-free state. With limited exceptions, it is illegal to smoke in any workplace within the state. Just this week, the City of North Royalton has gone one step further by banning smoking in city parks and recreation areas. For those who are interested, Wikipedia has a current list of all smoking bans around the country. The owner of a small company in Germany fired three workers because they were not smokers. It seems that their boss (evidently a smoker himself) felt that they were "disturbing the peace" in the workplace by being vocal about their smoking colleagues. "I can't be bothered with trouble-makers," said the boss. "We're on the phone all the time and it's just easier to work while smoking. Everyone picks on smokers these days. It's time for revenge. I'm only going to hire smokers from now on." Under Ohio's SmokeFree Workplace Act, the German employer would almost certainly be liable for the terminations. 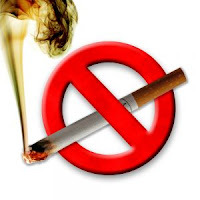 The SmokeFree Workplace Act, makes it illegal for any employer to "discharge, refuse to hire, or in any manner retaliate against an individual for exercising any right, including reporting a violation, or performing any obligation under this chapter." One such right employees enjoy is the right to demand that a co-worker stop smoking. As an aside, it's generally a bad idea to justify any workplace action as "revenge." Companies should consider putting these anti-retaliation guarantees into their smoke-free workplace policies. If you don't have such a policy in place, give serious thought to having one drafted for you.